Apart from their beauty, sexiness, or cuteness, some actresses are best known for their ability to appear as something they’re not. For example, there are some cases where popular Hollywood actresses have worked on the set with a baby on the way. In that name, here are the top 15 actresses who kept working while pregnant. We’ll start off with a mild example of an excellent actress who accepted work despite being pregnant. 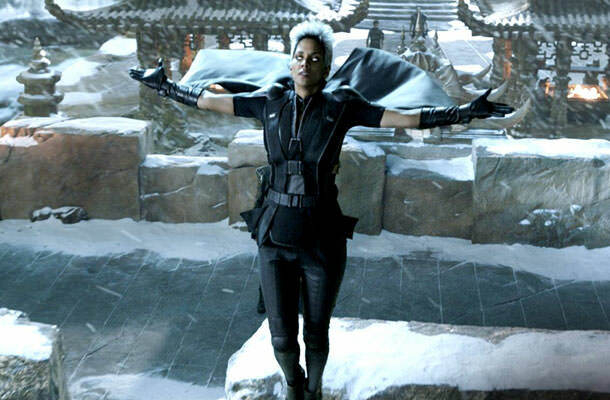 For starters, we have Halle Berry, who worked on “X-Men: Days of Future Past” and managed to hide her baby bump while playing the superhero Storm. Everyone who ever watched any of the “X-Men” movie has certainly noticed one thing: the body-tight latex suits seemingly everyone loves to wear in these films. As you might’ve guessed, Storms armor isn’t any different, which made the task of hiding the baby bump that much harder. Still, Halle Berry and the team working on the set somehow did manage to conceal the actress’ ever-growing stomach, but it was her pregnancy that prevented her from having as much screen time as she wanted to have.